Note: All Times are Pacific (PT). All tips are embargoed until the time of presentation or 3 p.m. PT/6 p.m. ET each day, whichever comes first. 10 percent of patients ran a fever higher than 100.4 degrees Fahrenheit (which is a high fever by U.S. standards) for more than 4 hours and 8 percent for more than 8 hours. 27 percent of patients ran a fever higher than 99.5 degrees Fahrenheit (European/Australian standards of high fever) for more than 4 hours. One-third of patients had high blood sugar (more than 180 mg/dL) for more than 4 hours during their hospitalization. Anne W. Alexandrov, Ph.D., R.N., professor, University of Tennessee Health Science Center at Memphis, Tennessee and professor, Australian Catholic University in Sydney, Australia. Millie Hepburn, PhD(c), R.N, ACNS-BC, SCRN, Assistant Professor, School of Nursing, Quinnipiac University, North Haven, Connecticut. Actual presentation date and time is 4:15 p.m. PT/7:15 p.m. ET, Tuesday, Feb. 16, 2016. Chinese cultural values underlie the willingness of family members to care for stroke survivors at home, so interventions to support caregivers should consider incorporating these values, according to research presented at the Nursing Symposium of the American Stroke Association’s International Stroke Conference 2016. Each year, an estimated 22.5 million people in China survive a stroke and 78 percent of them require home care. This study probed stroke caregivers’ perceptions of this responsibility within the Chinese culture. Researchers interviewed 14 stroke caregivers, average age 58, seven tending a spouse and seven a parent. Eleven were women. All were first-time caregivers who provided an average of 14 hours of care each day. Among all the caregivers, 64 percent accept their role as a natural and expected part of life, a perception deeply rooted in Chinese culture. Among the spouse caregivers, 92 percent believe it is their moral obligation to care for a sick partner, and women believe caring for sick relatives to be their role in the family. Providing support during adversity is viewed by 71 percent of caregivers as an expression of love among family members. Children caring for parents believe that caregiving is a virtue and a means of repaying their parents. Xichenhui Qiu, B.S.N., R.N., Nethersole School of Nursing, Chinese University of Hong Kong, Hong Kong, China. Actual presentation date and time is 4:30 p.m. PT/7:30 p.m. ET, Tuesday, Feb. 16, 2016. 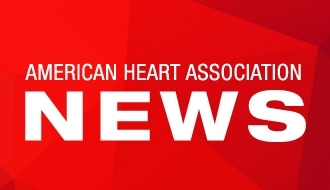 Follow news from the ASA’s International Stroke Conference 2016 via Twitter: @HeartNews #ISC16. Statements and conclusions of study authors that are presented at American Stroke Association scientific meetings are solely those of the study authors and do not necessarily reflect association policy or position. The association makes no representation or warranty as to their accuracy or reliability. The association receives funding primarily from individuals; foundations and corporations (including pharmaceutical, device manufacturers and other companies) also make donations and fund specific association programs and events. The association has strict policies to prevent these relationships from influencing the science content. Revenues from pharmaceutical and device corporations are available at www.heart.org/corporatefunding.